Cook County Forest Preserve - Sagawau Environmental Learning Center in Lemont, Ill.
Teamsters Local 700 Cook County Forest Preserve member Andre Hope was recently awarded back pay after the union helped discover that his was missing more that he had “Hoped” for. 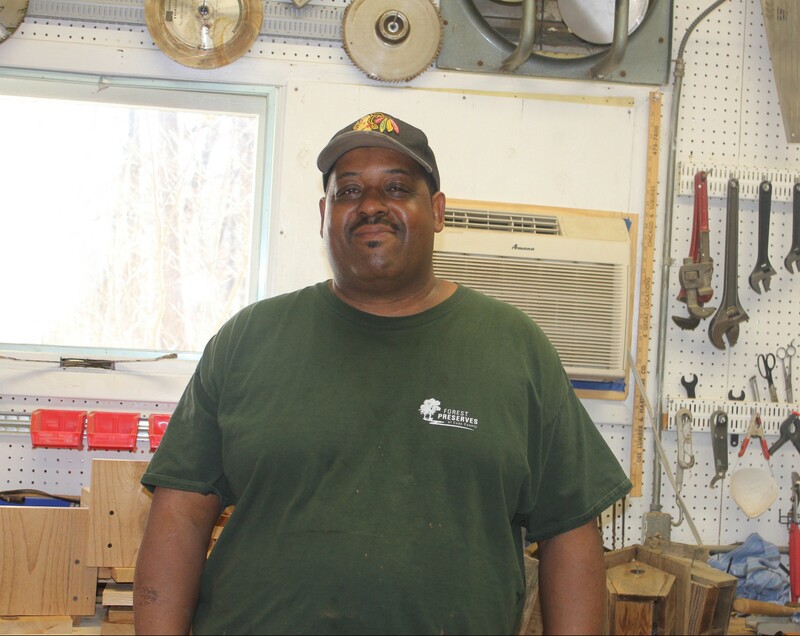 Andre started working for the Forest Preserve in 2000 and was laid-off in 2002 due to budget cutbacks. He was recalled back to work in 2007 and spent almost nine years working at the Little Red Schoolhouse Nature Center in Willow Springs, Ill. before coming to the Sagawau Environmental Learning Center in Lemont, Ill. earlier this year. Andre maintains the grounds and the surrounding buildings of the Sagawau Center, including the staff workshop, which houses lots of tools and newly built birdhouses. 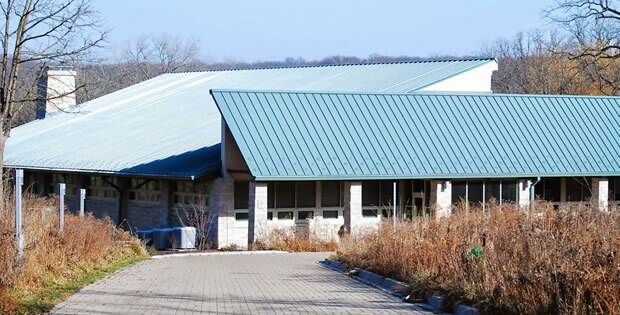 Adjacent to the workshop is a visitor’s center and a classroom building that includes exhibits on geology, history and habitat management. As part of the new Cook County Forest Preserve contract that was ratified in the fall, employees with 10 or more years of service were to receive a $500 bonus and employees with less than 10 years of service were to receive a $300 bonus. After Andre opened his bonus check and saw the $300 amount, he visited his online employee profile and noticed the Forest Preserve listed his start date as 2007, which should have been 2000. He also made Teamsters Local 700 aware of the discrepancy and the union investigated his case. After Andre received the new check, he was shocked by the four-figure amount. Andre bowls in a league with his son on Fridays and Saturdays and plans to put the money toward his bowling expenses and paying off some bills. He also enjoys traveling and is looking forward to taking his wife to Rome later this year with the extra money. The two previously visited Paris and Israel. “The essential foundation of our union is to fight for our members and I am very happy that Local 700 ensured Andre was made whole,” said Becky Strzechowski, Local 700 President.